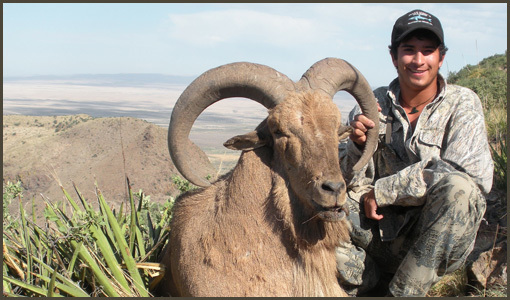 Rowdy McBride Hunting Services offers the largest amount of terrain in the highly sought after desert mountains of West Texas including the area’s most productive private and family-owned rangeland for free range Aoudad sheep, totally unshared and completely exclusive to our hunters. Our success rate is 100% for taking large Aoudad and our percentage of trophy-sized rams is unsurpassed by any other outfitter in the region. The populations and trophy sizes of our Aoudads have provided well-documented success for our hunters in fulfilling their dreams of a challenging free-range experience and trophy Aoudad opportunities. Our areas are within Brewster, Jeff Davis, and Presideo Counties. On the majority of our ranches there is cabin-style lodging augmented by tent and local hotel facilities to take advantage of the most promising hunting conditions and movements of herds. Conditions of hunts include utilization of jeeps and ranch vehicles combined with on-foot traverse in elevations ranging up to 7500 feet. The mountains present a combination of limestone and granite geology, native grasses, cedar and pinon pine in the higher elevations, and desert foliage such as sagebrush, ocotillo and cactus in lower elevations. 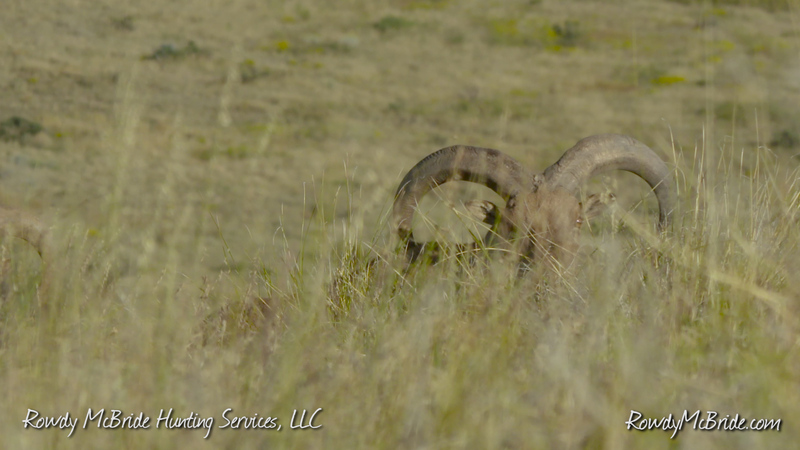 Our ranches will feature multiple sightings of mature Aoudad herds with frequent trophy ram opportunities. Our guides and assistants have extensive experience and are predominantly natives of the area, offering years of experience in hunting these challenging and wary animals. No hunting service works harder at getting our clients fair opportunities for mature, trophy Aoudad rams. We enjoy our clients and take a deep personal pride in helping them obtain their animals. As a result, Rowdy McBride Hunting Services has been featured by numerous hunting shows and are sought after by the foremost outfitting agencies throughout the world.